I love finding ways to make money fast. Sometimes it’s random, like when I found a $10 bill on a walk. No one was around to give it back to, so I was $10 richer. Most of the time though, when figuring out how to make $100 fast requires creativity or extra work. We all need extra money from time to time. You may need it to pay a bill, or because you want to buy something and need the cash first. Regardless of the reason, if you want to make 100 dollars fast, you need ideas to get your creative juices flowing and a goal to motivate you. If you want to make money fast, the key is to align it with a goal. Earning extra income is great, but when you tie it to a goal you have that extra motivation you need to succeed. As the list below shows, there are many ways to make $100 fast. Many of them require little to no skill, and can add up to quick money when in a pinch. 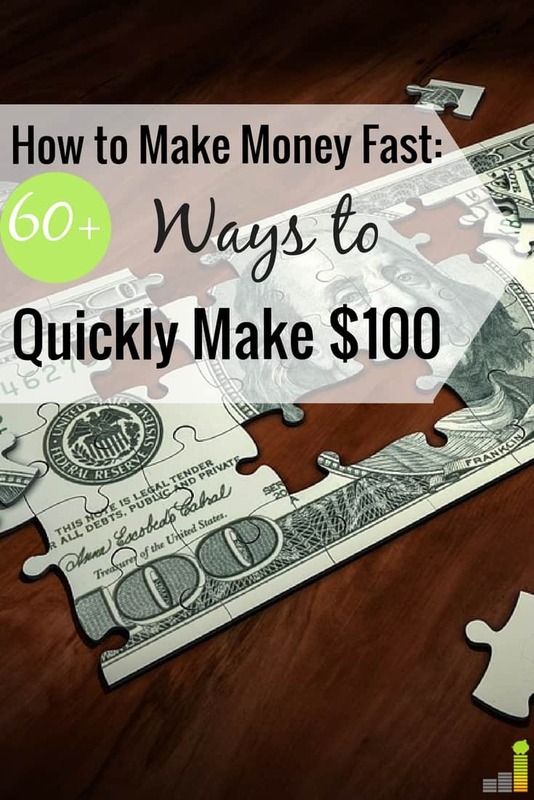 If you have the time and willingness to think outside the box, here’s how to make 100 dollars fast. The Internet has made making extra money simple. There are so many opportunities to make money online, from making small amounts to your earning entire living like my wife and I do. Here are just a few of the ways to make money online. 1. Take surveys – Taking surveys won’t make you rich quick, but it’s a good way to fill up your free time. If you use some of the best survey sites, you can make an extra $100 in a week or two, helping you monetize your down time. 2. Ebates – Ebates is a great way to earn cash back on your shopping. You get a free $5 gift card when you open an account, so you won’t get rich quick but it is a nice way to get some money back on something you already do. Check out our Ebates review to read more about how it works. 3. Swagbucks – Similar to Ebates, Swagbucks gives you a free $5 when you open an account. You can also make money if you switch to their search engine. You can also make money watching videos, playing games and using the Swagbucks shopping portal. 4. Set up an Etsy shop – Are you crafty or do you like to design? Monetize your talents and set up an Etsy shop. If you can market your site well, this can be a great way to make money on the side. 5. Be in a focus group – Many companies like to get market research directly from consumers. You can check Craigslist, call local colleges, or use VIP Voice to take part in focus groups. 6. Start a blog – I’m partial to blogging as starting a blog changed my life. I started this website six years ago and it has been a big part in the growth of the business I run with my wife. You can make money blogging in a variety of ways – from display advertising to affiliate marketing to freelance writing opportunities. While blogging isn’t a get rich quick scheme, you can make good money if you’re in it for the long haul. If the technical aspect of blogging scares you, it’s not that difficult. You can start a blog with Bluehost for as little as $2.95 per month and they will get your site set up with a few simple clicks. Make sure to check out our how to start a blog guide for everything you need to know to start a blog. 7. Watch videos – Do you have free time on your hands you want to monetize? MyPoints is another survey site, but with a twist. You get paid to watch videos on MyPoints. This is something you can do while waiting in traffic on the bus, waiting in the doctor’s office, or while you’re watching TV. You can redeem points for gift cards, or get paid via PayPal from MyPoints. The minimum withdrawal is $25 and they give you $5 to start. 8. 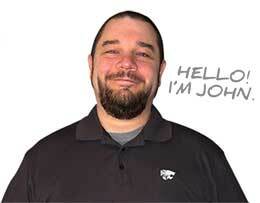 Create logos – People like me pay good money for a logo or a small design project. You can check Craigslist or reach out to your contacts to get some gigs. CafePress is a great option if you want to sell items from T-shirts to mugs. 9. Create a Fiverr account – Fiverr is a great marketplace to find writing, editing, design and many other jobs. They may not be high paying jobs, thus the $5 name, but it can be a great way to make money on the side. The key to earning more with Fiverr is the add-ons. Many on Fiverr charge extra for special add-ons and make even more money. If you specialize in a certain niche, this can be a great way to make more on Fiverr. 10. Make money grocery shopping – Think it’s impossible to make money fast when spending money? It’s possible with the Ibotta app. Think of Ibotta as a modern day version of clipping coupons on your phone. When you download the Ibotta app and go to the store, they show you the available offers. At the end of your shopping trip you scan your receipt, collecting cash back for the deals you bought. Once you reach $20, which is relatively simple, you can withdraw the funds. Ibotta works at over 35o retailers, both physical and online and they give you $10 to start! Check out our Ibotta review to see how you can make money with the app. 11. Sell on Ebay – Remember selling your junk earlier? Take it online and sell it on Ebay. You’d be surprised at what people sell on Ebay, and make good money doing it. 12. Sell on Amazon – Amazon is another great resource to sell your stuff, through Amazon FBA. 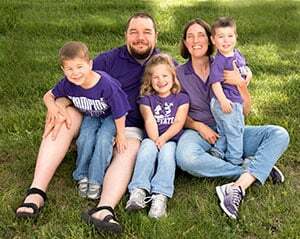 Check out The Selling Family – they run a business selling items through Amazon FBA and have many resources you can use to start your business. 13. Amazon Mechanical Turk – Amazon Mechanical Turk is a service where you perform a wide variety of tasks. It can be as simple as data entry or doing a repetitive task. You won’t make a fortune, but if you need to make $100 fast, this can be a good option. 14. Read emails – Reading sponsored emails is a legit way to make money fast. With Vindale Research you get paid to read sponsored emails. You can also get paid to take surveys, watch videos, and find rewards codes online. 15. Sell pictures – Taking a good picture requires talent. If you love photography, you can monetize the skill by setting up your own site or selling them through a site like Deposit Photos. This also works if you have friends selling their house, just had a child or some other major life event – photography is a great skill to monetize here. 16. Get driving – Do you live in a relatively large city and have a newer car? Do you like to meet new people? If so, you can drive for Lyft and set your own schedule. I’ve met a variety of people here in Omaha who work a few hours a week and make decent money driving people around town. If you know how to drive, it can be a great way to make money – plus Lyft is currently offering a $1,000 earnings guarantee in your first 30 days. You just need 125 rides in the first 30 days to reach the guarantee. 17. Get a part-time job – It’s not my favorite possibility, but a part-time job can be a good way to make money if you can spare a few hours per week. 18. Babysitting – This is the classic side hustle. Babysitters make $10, or more per hour in our area. Take on a few gigs, and you will hit $100 by the end of a weekend. You can use Sitter.com to set up a profile and get clients. When you set up a profile with Care.com, they let you get reviews and you can use those to beef up your profile to be more attractive to potential clients. 19. Deliver papers – You’d be surprised how many people still get newspapers delivered to their home. If you don’t mind early hours, this is a simple way to make extra money. 20. Clean houses – We pay our housekeeper $150 each time she comes to clean our house. She has a few supplies and we provide the rest. Referrals are the name of the game with this side hustle. 21. Pet sitting – Kennels are expensive, and many owners don’t like to use them. If you love animals, this can be a great way to make money taking care of people’s pets while they are on vacation. 22. House sitting – We hire a friend to stay at our house when we go on vacation. She sleeps here, checks our mail and makes the house look lived in. If you can do the same, this is a super easy way to make $20-25, or more, per day. Housesitter.com is a good resource to find possible clients. 23. Freelance writing – Do you read blogs and love to write? Reach out and ask them if they need another writer. Pay can range anywhere from $20 to $50 or more. 24. Deliver meals – Drive food, not people. Sign up to deliver meals for Uber Eats and you’ll make $100 without breaking a sweat. Driving for Uber Eats has less restrictions and requirements than does Lyft, since you’re just delivering meals. DoorDash is another good option to make money by delivering meals. In many locations all you need is a bike, scooter, or motorcycle to deliver meals and, in some locations, you can even walk to deliver meals. 25. Tutor – You can tutor in virtually any subject and make upwards of $20+ per hour. After just a few gigs, you’d make $100 fast. If you have a college degree and a laptop with a strong internet connection, you can tutor students online with Qkids and earn up to $20 per hour. Qkids handles all the course materials so all you need to do is teach. 26. Walk dogs – Pets need their exercise as well. Check your local newspaper or Craigslist for people needing help with their pets. This can be a great after school job or for anyone with free time on their hands. 27. Gigwalk – Gigwalk is an app you download that matches you with companies who want small tasks done like taking photos, or other minor assignments. You won’t get rich quick, but it is a good way to make $100 quickly. 28. Bartend – The per hour pay isn’t high with this side hustle; the money is in the tips. Pick up a few gigs a weekend, or work at your local bar and this can be a nice way to make extra money. 29. Stage houses – House staging can be big business. The house stager we worked with last year charged $75 per hour. If you have an eye for design or know how to stage a room, this can be a great way to make $100 fast. 30. Garage Sale – When was the last time you thinned out the junk stuff in your house? Find time to declutter your house, and you’ll be amazed at how much you’ve not used in the last year and can sell. If you’d rather not do a garage sale, you can sell items to Decluttr to make some fast money. They buy everything from old cell phones, to books, CDs, DVDs, toys and more. 31. Sell items on Craigslist – Don’t want to deal with the hassle of a garage sale? Sell your stuff on Craigslist. We did this when we moved two years ago and made over $500 in a week or two. 32. Do yard work – The possibilities are endless with yard work. Go around your neighborhood and offer to mow lawns, clean gutters, pull weeds and more. People get $20+ to mow yards in my neighborhood. In an afternoon or two, you can easily make $100 or more. 33. Shovel snow – Do you have a snow thrower or like to shovel snow? Winter can be a great time to make money by removing snow for people in your neighborhood and can pay similar to mowing yards. 34. Sell on consignment – Have furniture or nicer clothes you don’t need? Find a consignment shop to sell the items for you. They will take a chunk of the proceeds but it can be a good way to make money on something you don’t need. ThredUp is a great option if the consignment stores in your area don’t work. ThredUp is an online consignment shop that buys and sells secondhand clothes. You won’t get rich, but it can be a good way to make some fast cash. 35. Wash and detail cars – Summer and fall are a great time for this side hustle. All you need is a few supplies and some willing neighbors, and you’ll soon be on your way to making extra money. 36. Sell stuff at a pawn shop – Don’t expect to get sticker price, but this can be a good way to make money on items you no longer use. 37. Sell your old electronics – How many old electronics do you have lying around your house? You’d be surprised at how many of them still have value. If you have name brand electronics, you don’t use, sell them to make money. You can list them on Gazelle, for example, and make extra money. Gazelle will buy back old cell phones, electronic devices and more. 38. Find your own lost cash – That’s right, dig under couch cushions. Check that jacket you’ve not worn since last winter. Look in your kids’ room. We’ve done this in the past and usually find at least $10 or $20, if not more. 39. Take on overtime – This is one of the best ways to make extra money at your job. If you get paid time and a half, then you’ll make $100 even quicker. 40. Offer to do something no one else will – Is there a special recurring project in your office? Ask if you can contract out for it, or get a bonus. You never know until you ask. 41. Refer a friend – At my last day job, a friend referred me, and she made $2,500 – she also gave me half the bonus. Many medium to larger companies offer a similar program. If yours does and you have a friend looking for a job, this can be a good way to make money on the side. 42. Monetize your lunch hour – I know many people who use their lunch hour to make extra money. You can do anything from taking surveys, to writing, to testing a website and more to make money. 44. Open a rewards credit card – Are you planning for a large expense? A rewards credit card can be a great way to earn something for that purchase, often $100 or more in rewards. We like to travel hack to significantly reduce the cost of travel for our growing family, but cash back cards are a great option to pursue as well for your normal spending. Here’s a list of some of the top cash back rewards cards currently available. 45. Open a brokerage account – Thinking of moving your investment account? Many online brokers offer promotions to win your business. E*Trade offers up to $600 when you open a new account. TD Ameritrade also offers the same amount when you open an account. 47. Sell drinks – If you have a Costco or Sam’s Club membership, this is a great way to make money on the side. Buy a few cases and go to local parks, concerts, sporting events and other attractions and sell bottles for $1 or $2. 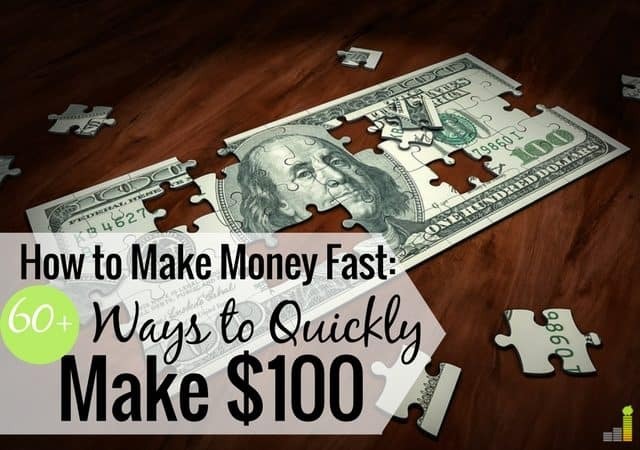 You’ll be surprised at how quickly you can make $100 or more. 48. Be A Mystery Shopper – You won’t make a lot of money being a mystery shopper, but if you get a few shops it can be a nice way to make $100 or more on the side. BestMark and Sinclair Customer Metrics are two of the best sites to use to make money. 49. Rent out your house or room – Do you travel much or do you own a second property? Consider listing your house or apartment on Airbnb to earn extra money on the side or create a new stream of income. Just make sure that renting out your home is cool with your homeowners association, or landlord – if you rent. The last thing you want to do is get in trouble. 50. Rent your bathroom – You read that right. If you live in a big city with nasty public restrooms, you can rent yours out through Airpnp. I personally wouldn’t do it but can be an interesting way to make money. 51. Taskrabbit – TaskRabbit is similar to Gigwalk, and is a good way to make money on the side doing small tasks or errands. TaskRabbit isn’t in a lot of cities but is around in most larger cities. 52. Postmates – Postmates is more mainstream than TaskRabbit, and you do a lot of the same tasks. You run errands or pick up meals for clients, which can be a good way to make extra money on the side. 53. Donate Plasma – I donated plasma as a way to make money to pay off debt. I would typically get paid $20-$30 per donation, so was able to make $100 within a few weeks. 54. Medical studies – My wife and I both participated in several medical studies when we were first married and were able to make several hundred dollars a piece. You can search for medical studies to find ones near you. 55. Professional cuddler – Strictly platonic here people. Seriously, you can make good money cuddling with a stranger, with many companies charging $80 per hour for a cuddle – the Snuggle Buddies being one such company. If cuddling with a stranger doesn’t gross you out, this can be a great way to make money in your free time. 56. Be a mover – The movers we hired last year were doing it as a side hustle. If you want free exercise and a way to make extra money, check out Craigslist or call your local moving companies for an opportunity. 57. Sell hair – Selling hair is a big business, with many sites charging hundreds of dollars for healthy hair. HairSellon is one option if you want to sell your hair. 58. Sell unused gift cards – Do you have gift cards sitting around that you won’t use? Instead of using them to buy more crap, sell them to make some cash. You won’t get face value, but it can be a nice way to make money on the gift card. Giftcard Granny and Raise are both sites you can use to sell unwanted gift cards for cash. 59. Get money from the government – Do you have unclaimed property? I did several years ago and found out the government had almost $300 I didn’t know about. Go here to see if you have unclaimed property – found money is the best! 60. Give up cable – Seriously, why are you still paying for cable? If you cancel cable and use a replacement like Hulu with Live TV, you’ll have $100 or more in less than two months. 61. Give up something for a month – I believe anyone can give up something for a month. Find something you spend money on that you can live without and pocket the savings. It’d be craft beer for me. If I gave it up for a month, I’d easily have an extra $100. 62. Take lunch to work – Do you buy lunch at work? Bring your lunch to work, and you’ll be surprised how quickly you’ll save $100. That’s also not to mention how much your body will thank you. Love this monster list! I recently opened a US Bank account to get the $200 bonus. I did a $400 bonus last year with Citi. Some really easy hacks out there to get an extra hundred dollars, and again nice list! Thanks DC. Nice work on the bank bonuses! Those are one of the best ways to make a little extra money in my opinion.